Bellawood offers a fantastic line of traditional domestic and exotic flooring that includes many beautiful wood species in a wide variety of widths and grades. 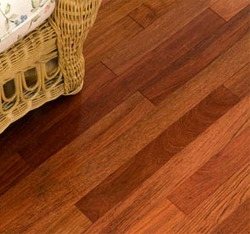 Since Bellawood floors come to you with a 50 year finish, UV-cured aluminum oxide finish, you never have the mess of sanding and varnishing after the floor is installed. We have our own manufacturing facilities and sell direct—to-the—public so no one can beat our quality and prices. Some of our products are over 60% less than traditional sources and the Bellawood Certified 50-Year Finish is among the best in the industry. Better wood at a better price’you can’t beat it! Whether you are developing a residential or commercial property, or remodeling your home, BeIlawood has the flooring to meet your needs and the expertise to help you get the job done correctly.